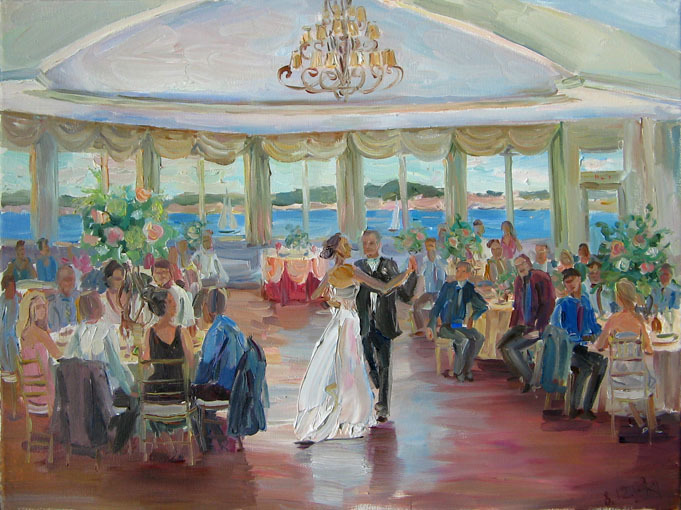 For wedding painting artist charges 14X18- $500,20X16 -$600,18X24 - $700,20X24 -$800,22X28- $900,24X30 -$1000, other sizes of Wedding paintings are negotiable. 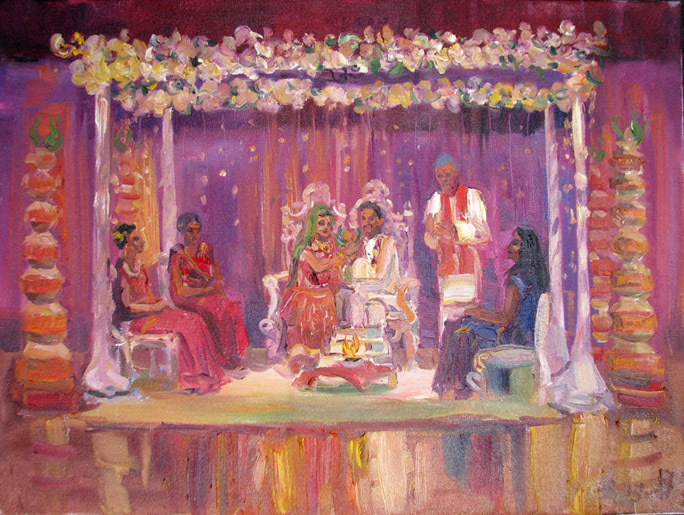 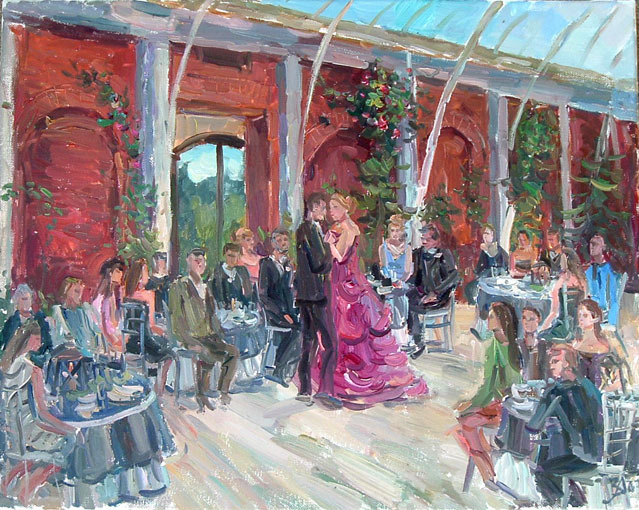 Paintings are done live at the reception as entertainment for the guests. 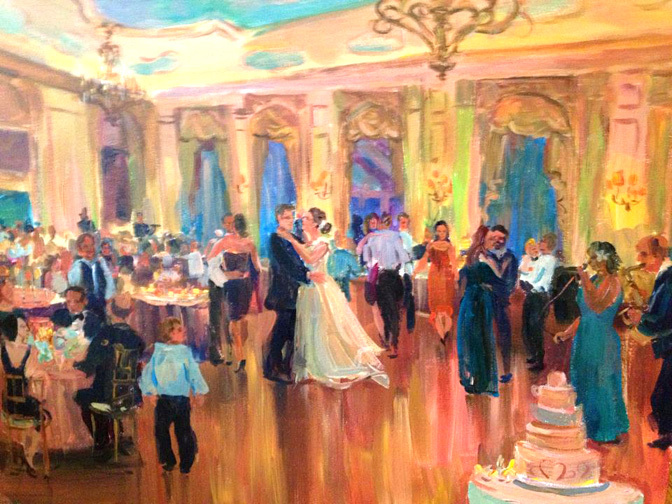 By the end of the event the painting will be ready. 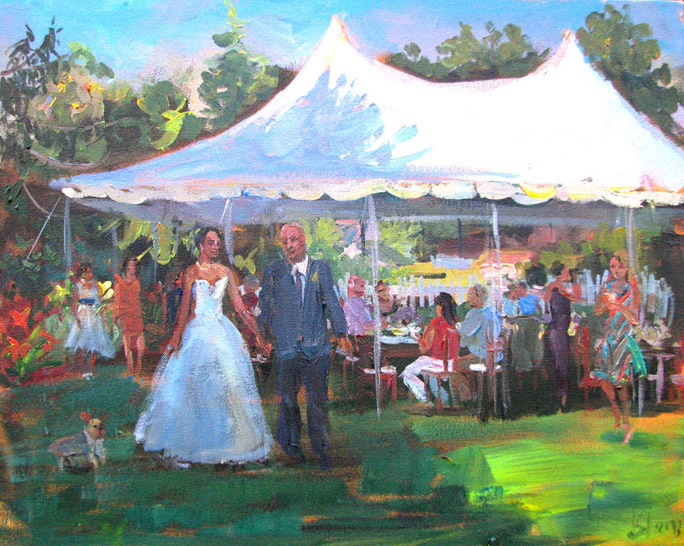 Paintings can be done in either oil or acrylic.